No matter if you are on a limited budget or can afford to invest a reasonable sum of money into the development and further promotion of your project, you have lots of opportunities to get your business online. WordPress has long become the most popular and optimal platform to get an online project on the web. In this post, we are not going to talk about premium WordPress themes. We would like to draw your attention to free solutions that do not lag behind paid themes. As you look through the templates added to this showcase, you will be surprises by the features included into free WordPress templates. In most cases, they are no less impressive then premium solutions and can be even put in one row with the paid options. So, in order not to speak without a proof, let’s take a look at the 7 free WordPress themes to get started with your own online project at no cost. This absolutely free WordPress template includes several pro features that you can find in premium themes. For example, it includes GPL license. The theme is also pre-loaded with WordPress Live Customizer for a more streamlined process of the theme’s modification. The theme is built with valid code. A minimalist design is quick and intuitive to browse. A selection of Google web fonts is also added to the theme’s download package. This free WordPress template is perfectly suited for building a responsive fashion blog. It also features GPL license, giving you a complete freedom of the modification of the code and usage on an unlimited number of web resources. 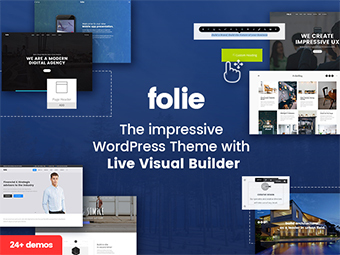 This freebie also features WordPress Live Customizer, which reveals the changes applied to the layout in real-time. 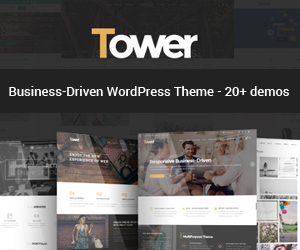 This free WordPress template is integrated with Power page builder. By means of this intuitive visual composer, you can craft unique layouts without touching a line of code. The theme runs on Bootstrap 3 framework, making every piece of content adjust to all screen sizes automatically. This is a GPL-licensed template featuring a collection of handy Cherry plugins and layout options intended to enhance the theme’s personalization. The theme is intended to be used for gardening, furniture, and design sites. A clean and fresh layout is enhanced with the Power – intuitive visual composer. The template allows you to experiment with a number of pre-designed layout options. A handful of Cherry options are included to enhance the theme’s navigation, content presentation, data visualization, etc. WordPress Live Customizer is also added to the theme’s features set. The freebie includes all the major features added to Cherry Framework 4. It is fully responsive, retina- and Ecwid-ready. A number of sliders are intended to enhance the layout with a more remarkable content presentation. The theme features parallax scrolling animation, providing for a more captivating storytelling. Blog and portfolio functionality, as well as a number of custom post types will make web resources more informative and diverse. This fully responsive WordPress template runs on Cherry Framework 3.1.5. The layout is built in flat style and with the clever use of whitespace, bringing the users’ focus of attention on the content. Parallax scrolling backgrounds add a feeling of depth to the theme. To captivate the audience even more, the theme includes background videos support. Due to this, you can deliver your objectives to the audience more effectively. 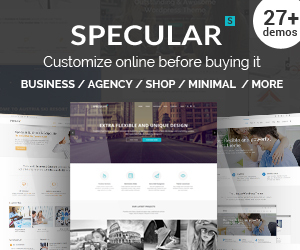 The theme is best suited for architecture and design sites. A dark-colored layout adds special charm to the content presentation. Canary-yellow design elements look very eye-catching. A minimalist design of the template makes it easier to keep the audience focused on the essentials. The navigation panel and the overall layout structure are quick and easy to browse. These were 7 of the most popular and impressive free WordPress themes that will help you save extra cash on the promotion of your own web project. Although these do not include free support, you can always rely on professional assistance from Service Center.